Corneal infections are not uncommon. Here, we will explain what the cornea is briefly before going over some of the causes of corneal infections. The cornea is the clear, dome-shaped covering on the top of the eye. This surface acts as a protector for your eye, keeping out foreign objects such as dust and bacteria. It is also a vitally important part of our vision, focusing light as it enters the eye. Most body tissues contain blood vessels to nourish and protect them from infection. But the cornea has no blood vessels. If it gets damaged, bacteria or a virus are able to invade causing corneal infection. Infection of the cornea is also known as keratitis. It causes inflammation in the eye which is very painful. If treated quickly, minor infections can be easily cleared up. If the inflammation is left without treatment, it can lead to scarring. In this instance, there is the possibility of vision impairment and even blindness. It is therefore important to seek medical advice if you suspect you may be suffering from keratitis. What causes infection in the cornea? Keratitis tends to appear after the cornea is damaged. Foreign objects can easily scratch the surface of the eye. Things like dust, sand, grit and even your fingernail can cause this to happen. Inflammation occurs and the cornea becomes more susceptible to bacteria, fungus and then infection. 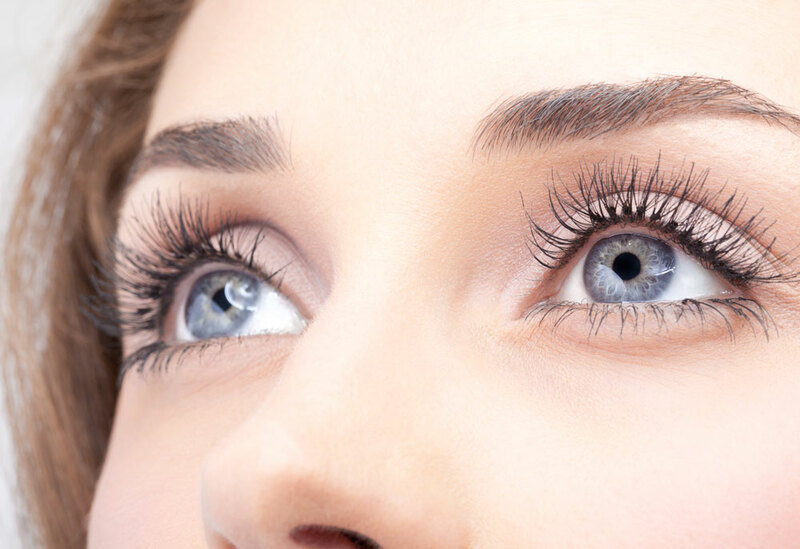 There are a number of causes for cornea infection. When a diagnosis is made, it’s important that the cause is identified as treatment options are different in each case. People who wear contact lenses are at risk of contracting bacterial keratitis. The majority of the time this is from overuse of the lenses. If worn continually for a number of days, bacteria can build up on the underside of the lens. If you do not clean and store your lenses properly you are more prone to infection. Be sure to always follow the proper cleaning instructions on a daily basis. Store contact lenses in fresh lens solution. And always remember to remove your contacts at night. The chicken pox virus, herpes simplex or even the common cold virus can result in keratitis. The virus infects the surface of the cornea and then moves into the nerves. Although rare, it is possible to contract a fungal cornea infection. This usually occurs if the cornea is scratched by a branch or other such object. A microscopic organism known as Acanthamoeba has been found to cause a severe form of keratitis. This organism is found all around us in the air, water and soil. It can also be found in tap water. As a contact lens wearer, it’s vitally important not to store lenses in tap water when you run out of solution. It’s very rare that a parasite causes a cornea infection, but be aware that it can happen. How to tell if your cornea is infected? Keratitis is difficult to diagnose yourself. Redness and excessive watery discharge could be an indication of cornea infection. If you have excessive infection, the cornea, which is usually clear, can take on a grayish color. There could also be patches of white which is where the infection is found. As the symptoms are similar to a number of different eye conditions, it is important to get the correct diagnosis. Book an appointment with your doctor as soon as symptoms present themselves. When you visit your doctor, he or she will use a specialized instrument to examine your cornea. They will try to establish the depth and severity of the keratitis. Occasionally a swab sample will be taken to send for analysis. This will be to determine the organism causing infection. How long does it take for a corneal infection to heal? The length of time to heal varies from individual to individual. How deep the infection is and the underlying cause also impact recovery time. Minor infections, like those caused by an injury, will usually be treated with anti-bacterial eye drops. Viral or bacterial keratitis will require antibiotics or antiviral medication. Steroid drops may also be prescribed for the inflammation. These infections heal reasonably quickly. The initial pain should cease after a day or two and the infection will clear up after two to three days. However, in some cases, multiple treatments may be required over the course of a few weeks. Be sure to keep your repeat appointments. If the corneal infection has penetrated further into the eye, scarring may occur. If this happens it can lead to loss of sight or permanent blindness. No matter the cause, treatment will be required. See your eye specialist as soon as possible to avoid lasting damage to your vision. The first signs that you may have an infection in your cornea are redness and eye pain. There may be a burning or itching sensation combined with an increased sensitivity to light. Changes in the clarity of your vision and the feeling that there is a piece of grit in your eye can also be symptoms. In some cases, it may be too painful to even open your eye. The deeper the infection, the more painful these symptoms become. If you wear contact lenses and show any of the symptoms, see your optometrist immediately. Is a corneal infection contagious? If keratitis is caused by an injury, then it is not considered contagious. However, if caused by a virus, bacteria or parasite, then it can be contagious. The biggest threat is infecting the second eye if the infection starts in just one eye. There are actions which you can take to try and prevent this from happening. Wash your hands regularly and avoid touching and rubbing your eyes–especially when you are sick. Avoid sharing towels or make-up with someone who has corneal infection. Be sure to follow the advice of your ophthalmologist. The early diagnosis and treatment of eye conditions, including corneal infections, is always important. If you think you or a loved one may be suffering from keratitis, arrange an appointment or walk in to see one of our specialists at the New Jersey Eye Center.